TrueDark glasses are like noise canceling headphones for your eyes! Not all light is created equal and the wrong lighting at the wrong time of day can hurt your sleep, performance and health. Your entire physiology is impacted by the spectrum of light that is absorbed by your eyes. Unfortunately, we are surrounded by "junk light" from nearly all artificial light sources including LEDs, computer screens, florescent lights and TVs. 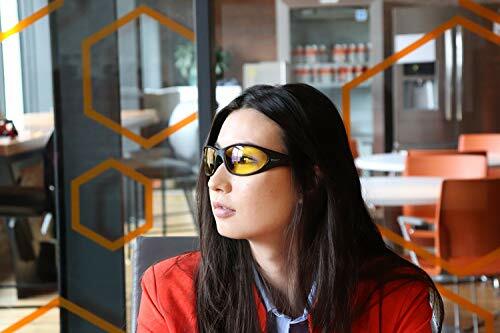 Patent pending TrueDark Twilight glasses are the only solution on the market that goes beyond a simple blue light filter to cover all of the "junk light" spectrum that impact sleep and performance, including greens and yellows. 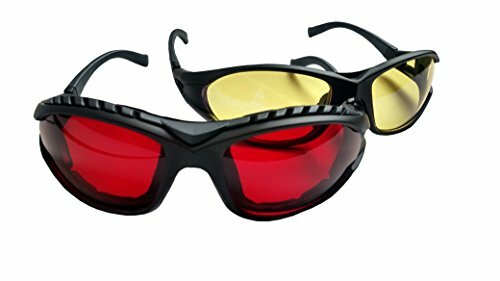 Add in TrueDark Daywalker glasses for use during the day when some blue light is good for you! They filter some, but not all, of the blue spectrum so you can keep your body in-tune with what's happening outside as the sunlight begins to go down, even while you're still hard at work. It also can help reduce eye strain for those who are in front of a computer all day long. The packaged set of patent pending TrueDark Twilight and Daywalker glasses provide the solution for morning through evening junk light blocking coverage. The blue light spectrum is the most talked about culprit of circadian rhythm disruption in today's modern world. Circadian disruption has been attributed to the increase of risk of heart disease, depression, learning issues, diabetes, obesity, and more. There are many "blue blocker" glasses that have been around for a while, but they are a one-size-fits-all approach, which is overkill for use during the day and are not quite strong enough for use before bed. 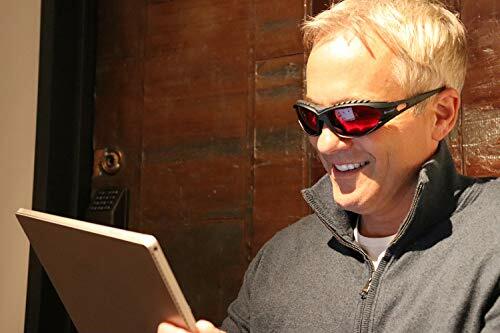 Each boxed set includes: - one pair of Daywalker glasses with interchangeable prescription lens insert and hard shell glasses case - one pair of patent pending Twilight glasses with interchangeable prescription lens insert and hard shell glasses case.